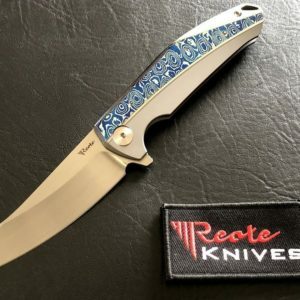 Every Mokuti Handle and Damascus Blade look different. 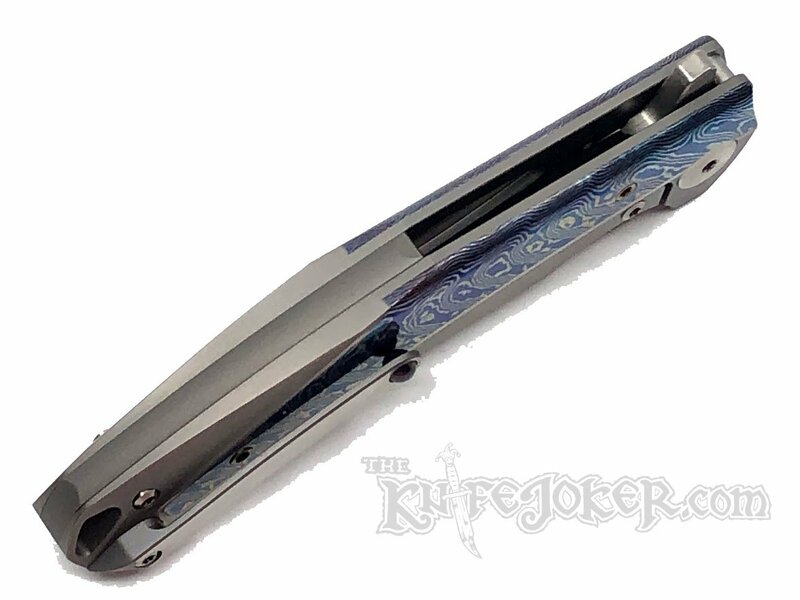 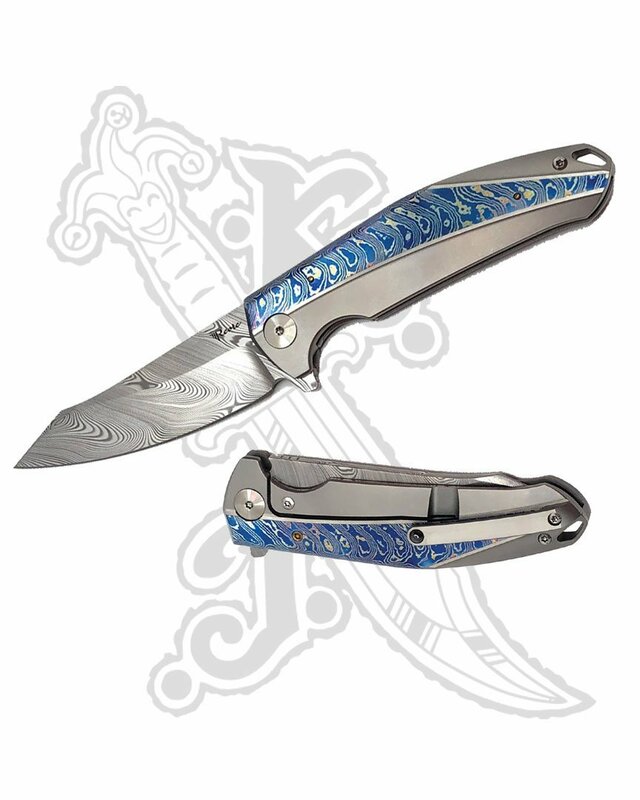 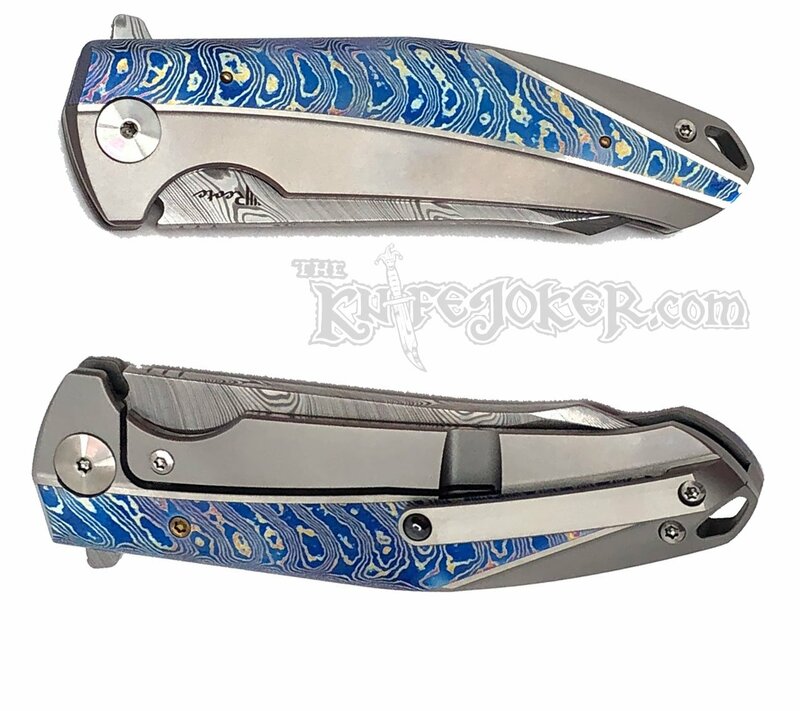 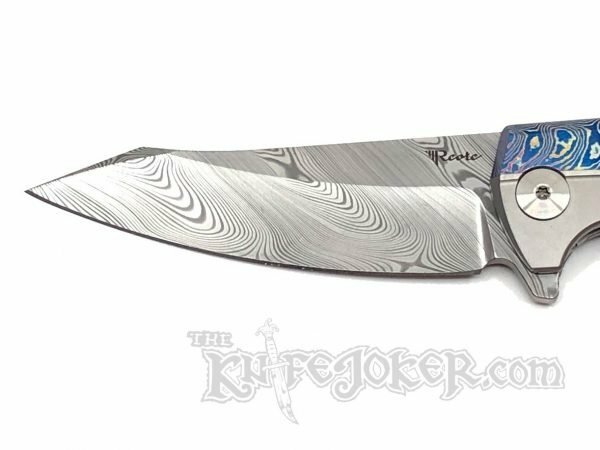 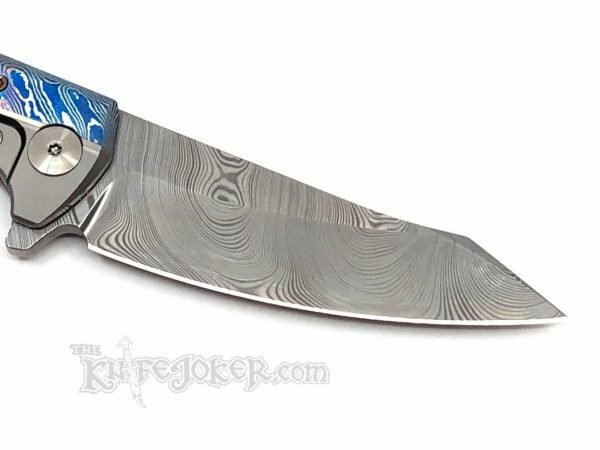 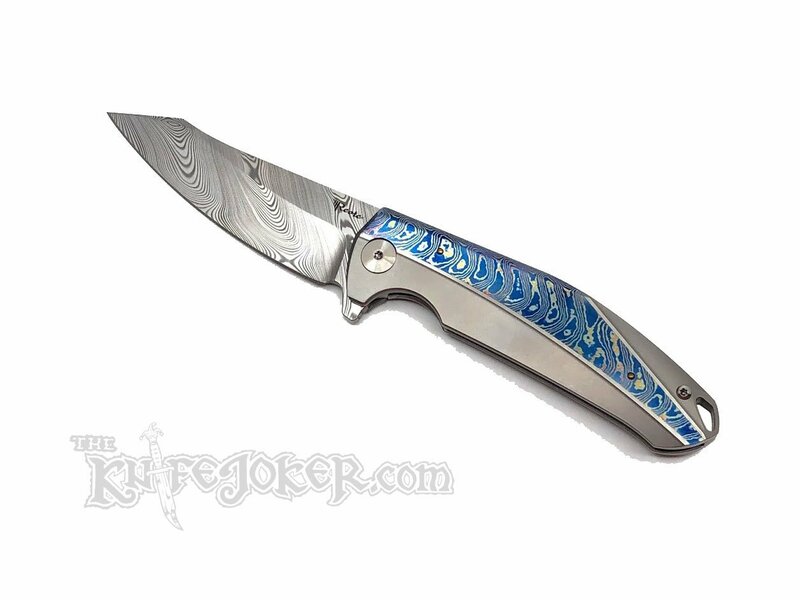 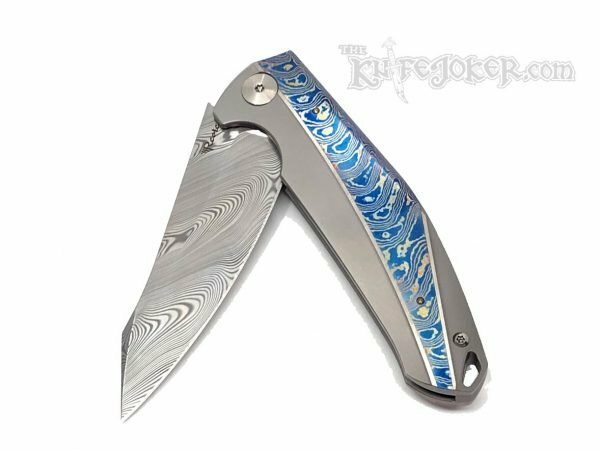 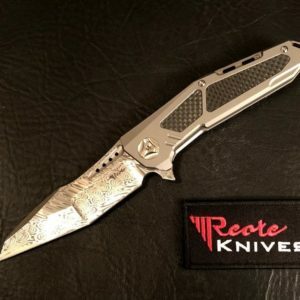 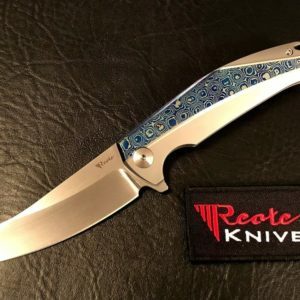 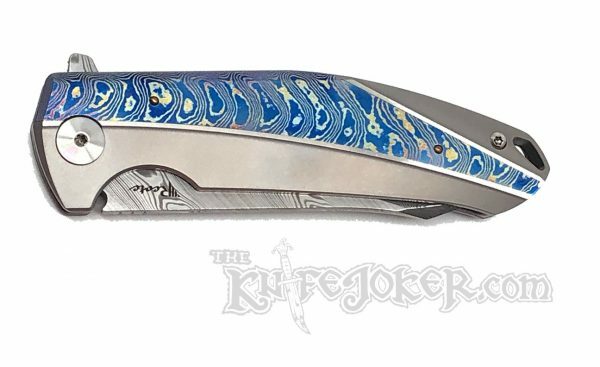 This Reate K-1 has bead blast titanium handles with a blue mokuti insert. 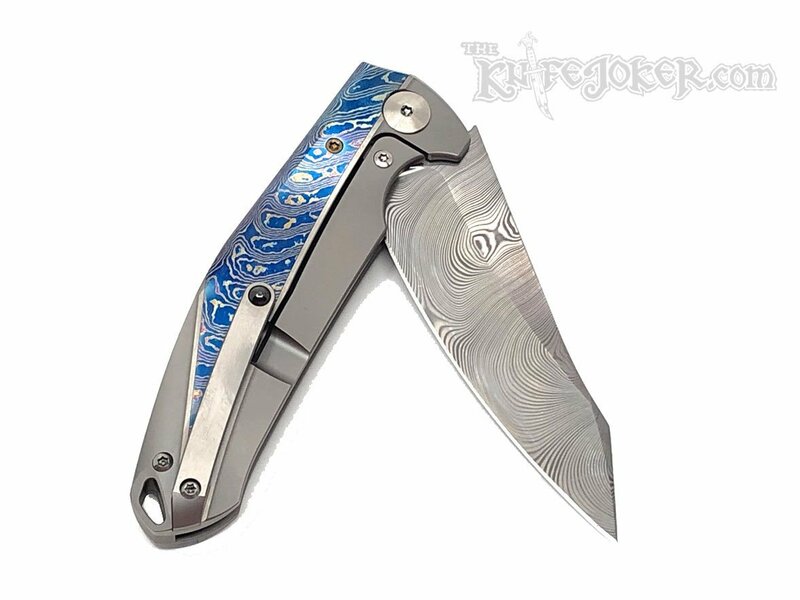 The blade is Damasteel Damascus. 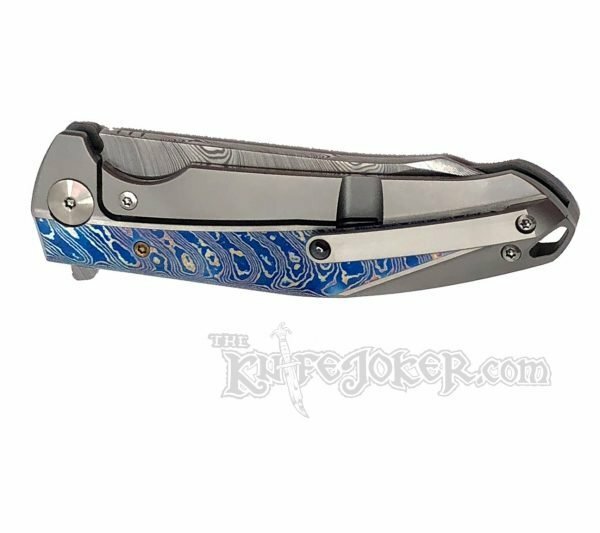 It also features ceramic ball bearings for smooth opening and closing. 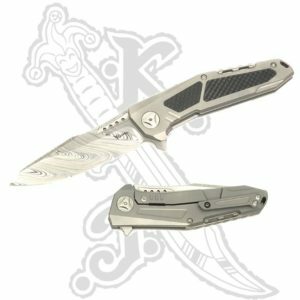 This knife is a titanium frame lock flipper. It has a steel lock bar insert for a solid lockup. 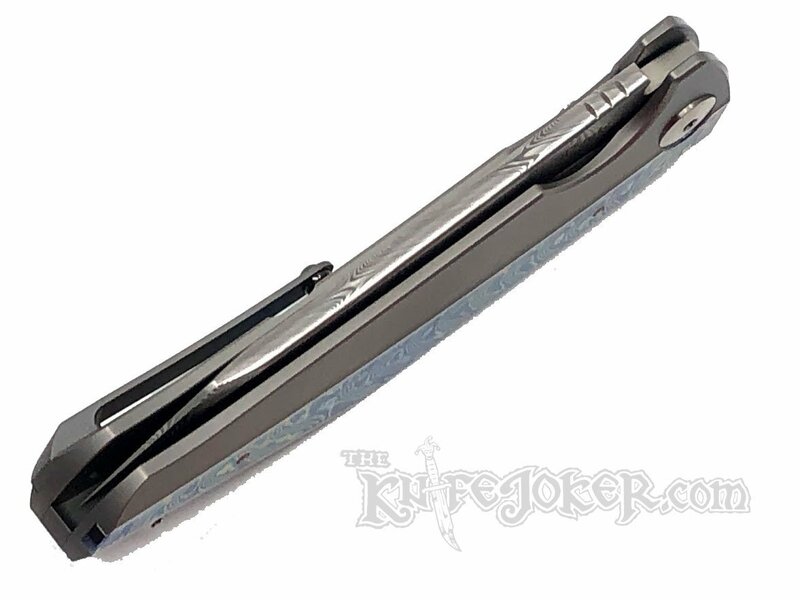 This insert also acts as an over-travel stop. 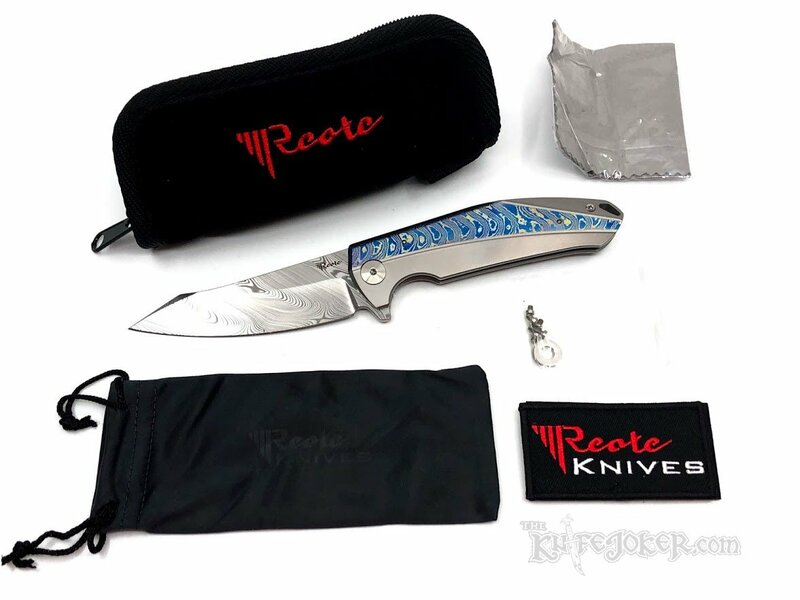 This K-1 comes with a plush zipper pouch, a cloth knife bag, a knife cloth, extra hardware, and a Reate badge.